Here is one of the blog-posts submitted to WOVEMBER as part of our competition! Thanks to Joanne Elizabeth for these thoughts on “Working with Wool”. Wool plays a significant role in my life. You will find it everywhere. I surround myself with it. It started when I was taught to knit at a young age by my Grandmother. She was an avid knitter, always working with wool. I followed in her footsteps and picked up knitting again five years ago. What a blessing. Life without knitting would not be complete. My daughter was born and knitted for. She was clad in wool from head to toe. Not only was it a lovely feeling, a soothing and comforting tactile experience. She was warm and cosy. It looks nice. She still wears wool. Lots of it. And so do I. Pure wool all over me. It has to be pure! Jumpers, vests, warm underwear, felted slippers, hats, gloves, scarves, socks, coat. I sleep on a pure wool undercover. As does the little one. Warm in winter, cool in summer. Wool means so much to me, I imagine the sheep when I am knitting, I gasp at the feeling of the strands turning into a garment, into texture. I inhale the smell of real wool, go crazy about patterns and styles. 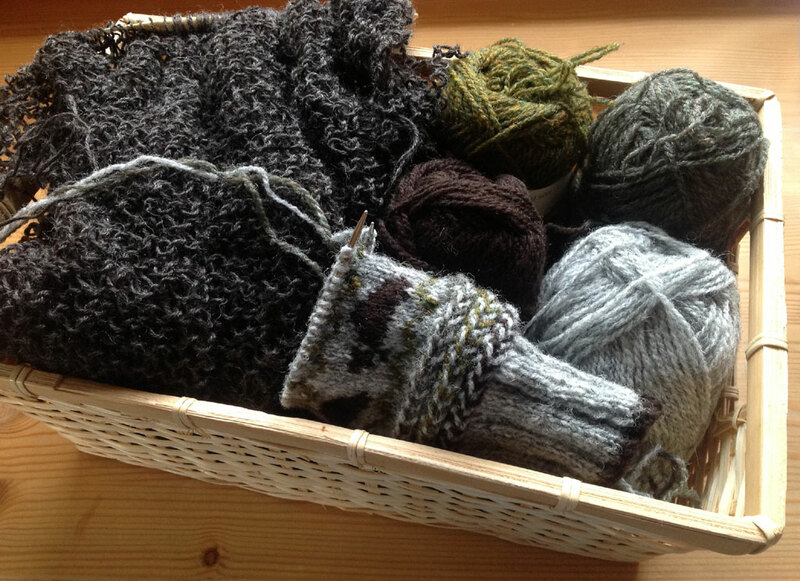 Knitting and wool; they relax me and bring me home.